In association with Sadler’s Wells, Birmingham Royal Ballet has launched a new initiative to develop the choreographers, composers and designers of the future. Ballet Now is a five-year programme of professional development, with BRB and Sadler’s Wells commissioning two works each year , supporting a total of six artists per year – one choreographer, composer and designer per commission. The commissions aim to support and champion artistic innovation, risk-taking and new choreographic practice. Thanks to mentoring from BRB’s Artistic Director David Bintley, Koen Kessels, Music Director for BRB, and other experts in the dance industry, participating choreographers, composers and designers will have the opportunity to challenge their choreographic practice and develop creative collaborations for presentation on the large-scale, while gaining valuable skills in leading a creative process in a major ballet company. Ballet Now’s launch coincided with the first meeting of the Creative Consortium, made up of David Bintley, Koen Kessels, Alistair Spalding (Artistic Director and Chief Executive of Sadler’s Wells), Cassa Pancho (Artistic Director, Ballet Black), Ted Brandsen (Director, Dutch National Ballet), Emma Southworth (Studio Programme Senior Producer, The Royal Ballet), Sally Beamish (Composer) and Sally Cavender (Director, Performance Music & Vice-Chairman, Faber Music). The first awarded commissions will be announced at Sadler’s Wells on 3 November 2017. Image: Cinderella in rehearsal: David Bintley with Momoko Hirata and Jenna Roberts. Photo: Ty Singleton. 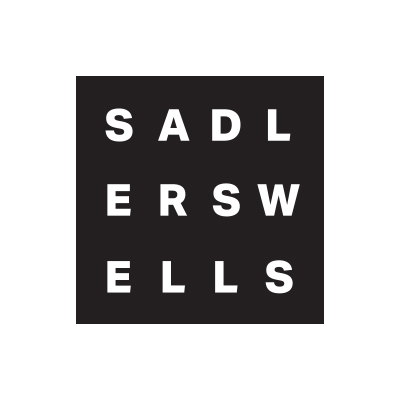 In April 2015, Sadler’s Wells was announced as one of the partners taking part in the Weston Jerwood Creative Bursaries programme, a new talent development initiative creating work and training opportunities for 40 graduates in different arts organisations across the UK. Thanks to the programme, we were able to offer a one-year placement in our Development department. 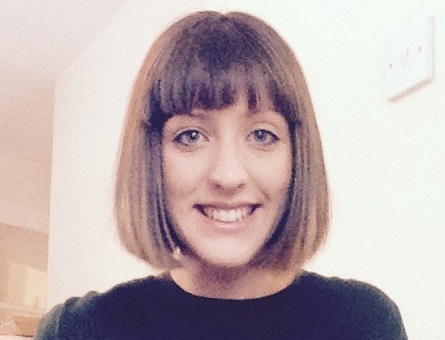 Verity Casey was the successful candidate securing the Development Assistant post. We spoke to her to find out how she is finding the placement and what she has been learning. I come from a creative background. Having completed a Foundation Diploma in Art and Design at Camberwell College of Art, I moved up north to study Fine Art at Newcastle University. I spent my time producing video and installation work. As part of the course, we had to raise enough funds to put on our final degree show exhibitions in Newcastle and London. I revelled in the challenge of this and soon became excited by the process of finding creative and compelling ways to raise funds. I furthered my experience by volunteering with Age UK’s fundraising and events team in Gateshead, but was keen to gain experience of fundraising in the arts. How did you find out about the Weston Jerwood Creative Bursaries Programme? I found out about the programme online during a persistent search for a graduate job, but was then actually sent the role at Sadler’s Wells by the Arts Fundraising and Philanthropy programme. I was very excited when I found out about the Weston Jerwood Creative Bursaries, as it was at last an opportunity to gain experience in an established arts organisation without having to do unpaid work experience. 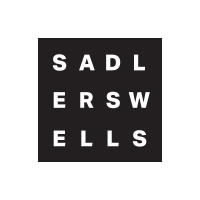 Why did you apply to work at Sadler’s Wells? I hadn’t had much involvement with dance since clumsy childhood ballet lessons, but I knew Sadler’s Wells had a reputation for showcasing the best contemporary and innovative works. The role was specifically for a graduate like me and offered an amazing opportunity to gain experience of fundraising in the arts. I get to see so many incredible performances as part of my job, so my relationship with dance was soon rekindled! What does your placement involve? I am responsible for assisting the individual giving team in looking after our members and patrons. Some of my day-to-day tasks include putting together membership packs, coordinating mailings and producing marketing and communications to send to our supporters. I have also carried out research about potential supporters. Our autumn/ winter season is ongoing and I have been assisting in organising a series of events for our patrons, including a fundraising Gala we held at the end of October. I have acquired a general knowledge of the process of gaining and maintaining support from individual donors. I have also learnt to accurately administer a membership scheme, use a CRM database to record information and send out all types of communications. As I get to see more shows, I hope to learn more about Sadler’s Wells’ artistic programme and increase my knowledge of the dance world. What do you particularly enjoy as part of the placement? Sadler’s Wells is a really fun place to work, everyone has been so friendly and welcoming. I have particularly enjoyed helping to organise the varied programme of events we hold for our members and patrons. Our patrons’ nights are a great opportunity to interact with our supporters and talk to them about the amazing programme of dance that Sadler’s Wells presents. What do you find is the most challenging aspect of it? The amount of admin involved doesn’t always agree with my need to be creative, but I realise that it is a hard thing to escape in life. How do you feel the placement will benefit your career? The Weston Jerwood Creative bursaries specifically target recent arts graduates whose circumstances mean they would not be in a position to undertake unpaid work experience. Taking part in the programme has given me the opportunity to develop my skills and add to my CV, as well as to experience what it’s like to work in an arts organisation. I believe the internship will give me the chance to really begin my career in the arts industry, increasing my confidence and helping me to stand out when applying to positions in future. What advice would you give to other graduates doing a placement through the programme? I think the programme provides amazing opportunities for recent graduates to get a foot in the door in some of the best arts organisations in the country. I would advise anyone who is eligible to really take the opportunity to learn about all aspects of the organisation they are in, and get to meet as many different people as possible. It is good to be able to use your time on the programme to try out a new career path and find out if it’s something you want to pursue.